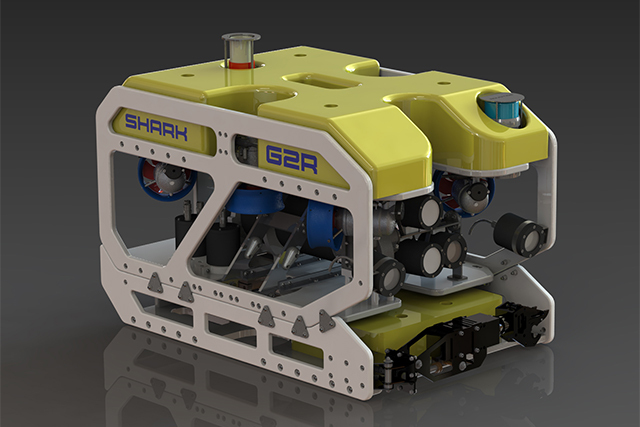 UAE ROV manufacturer Rovotics provide a fresh concept in ROV design and engineering. In 2011 a group of technical experts and mechanical engineers felt the market was lacking advanced systems that harnessed the latest technology, provided optimum reliability, quality and effective after sales support so they came together to form Rovotics. Four years on, Rovotics are launching the G2R; a formidable, flexible and highly efficient Inspection Class ROV. With more than 80KG of bollard force and 35KG payload, the G2R’s simple and intelligent electronics were made possible due to the system being designed and manufactured with the latest technology and software. With readily available spare parts, compact footprint and rapid mobilisation combined with minimal recorded downtime, the G2R is garnering a lot of interest. As well as designing and manufacturing ROVs, Rovotics produce components including Junction Boxes, Subsea Housing, Lights, Cameras and CP Equipment and offer a range of services including Mechanical and Electronic Engineering as well as Electronic Design.